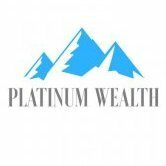 Moxima Gama from The Money Hub is a master technical analyst with over a decade’s experience working both independently and within large financial institutions. She uses technical analysis to assist in making efficient trading decisions and maximise trading returns. In this JSE Power Hour she’ll give help uses understand the use of charts for trading as well as including some of her own bespoke processes in order to identify both buy and sell ideas. Moxima will also include some trade recommendations and take audience questions.